Mini Pitcher Vase with Applied Roses! Discounts Apply ! 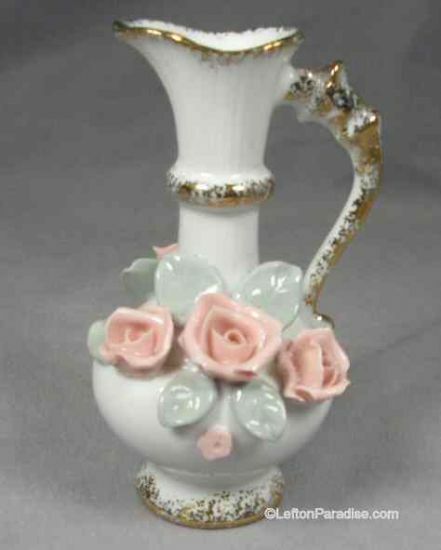 Darling miniature pitcher vase with applied roses, leaves and small flowers. Sponged gold trim is around the base, top rim, the scroll handle. It has no flaws. There is a color crown logo. The vase is 3 3/4 inches tall.